Digitally drawn thinkers head and brain low poly wire frame. World map globe digitally drawn low poly triangle wire frame. Business handshake low poly wire frame. Dna strand symbol low poly wire frame on white background. 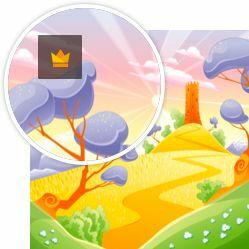 Location icon on white background with different color set. Hand holding a microphone low poly wire frame. World map globe low poly wire frame. Chess queen low poly wire frame. Book low poly wire frame on white background. Smartphone internet signal icon set, wifi signal icon. Chess knight low poly wire frame. Brain with human head low poly wire frame. Compass wind rose icon on gray background. Chain link form low poly wire frame on blue background. Butterfly low poly wire frame. Hand writing digitally drawn low poly wire frame on white background. Christian cross low poly wire frame on white background. Wifi signal low poly wire frame. Speech bubble low poly wire frame. Megaphone speaker low poly wire frame on white background. Magnet form polygonal low poly wire frame on black background. Kid hands low poly wire frame. Plant in hand low poly wire frame. Round question mark low poly wire frame. Dna form low poly wire frame on blue background. Envelope low poly wire frame. Cheetah running low poly wire frame. Diamond low poly wire frame on white background. Woman foots with shoes low poly wire frame. Iron chain link low poly wire frame on white background. Plug in low poly wire frame.